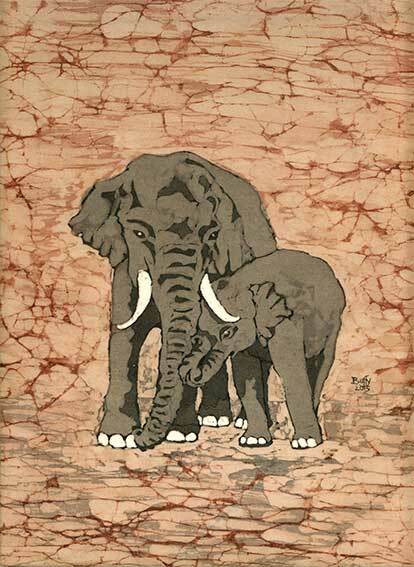 In 2015 I was commissioned to make a lampshade of a troop of elephants with their babies, going around the shade. As with many commissions, I had not done anything like it before, so as this was a large and complicated piece, I decided to do a small study of one of the panels first. It helps me to get the colours - and more importantly - the order of the colours right, without making mistakes on the main piece. It turned out just as I wanted. 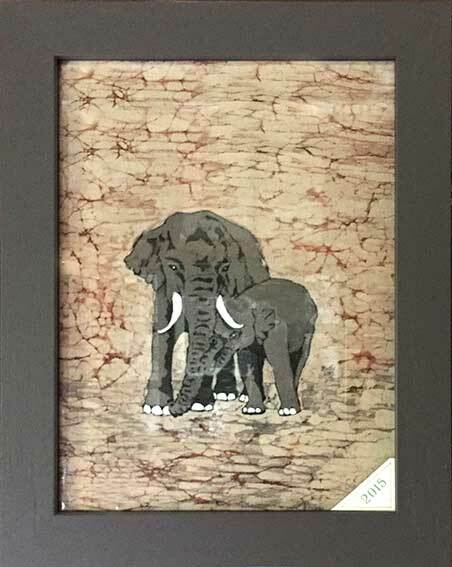 I used three shades of grey for the elephants and worked terracotta dye into the cracks in the background, to get the sense of the heat of Africa. This elephants design became the first in what was to become my 'wild animal' series which includes lions, tigers and zebras.